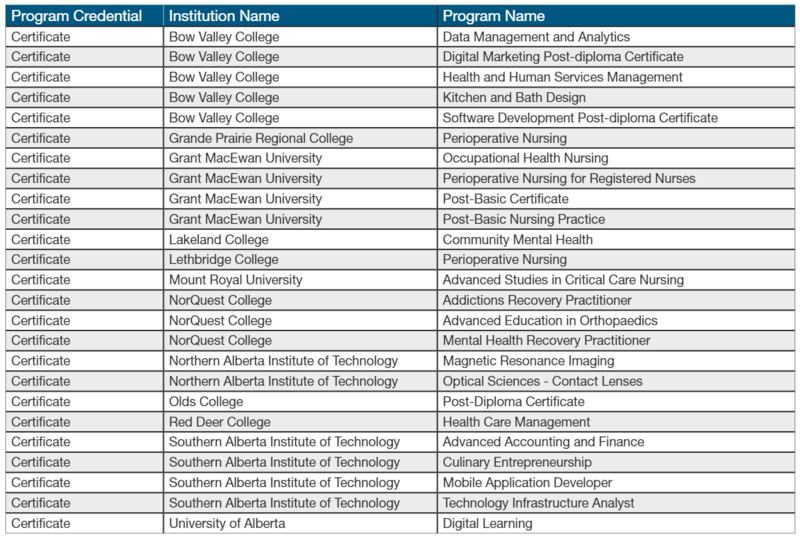 From October 1, 2018, the list of Alberta post-secondary certificate and diploma credentials eligible for the Alberta Opportunity Stream has been updated. 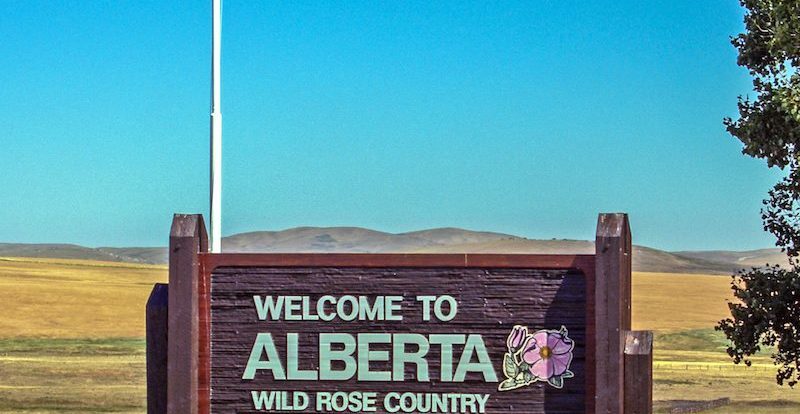 There are some Alberta credentials that are ineligible. 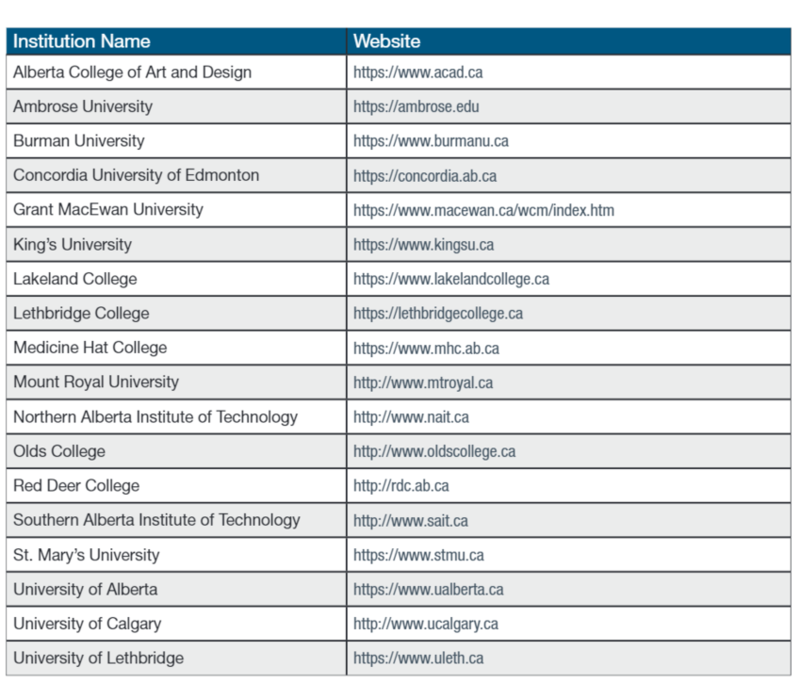 If you are admitted to and enrolled in an Alberta Advanced Education approved credential program on or after October 1, 2018 this list DOES apply to you. 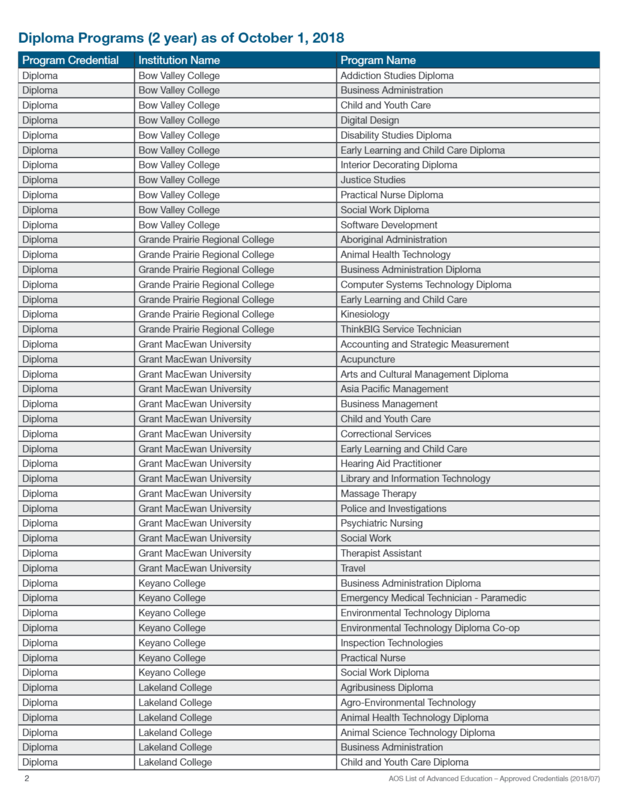 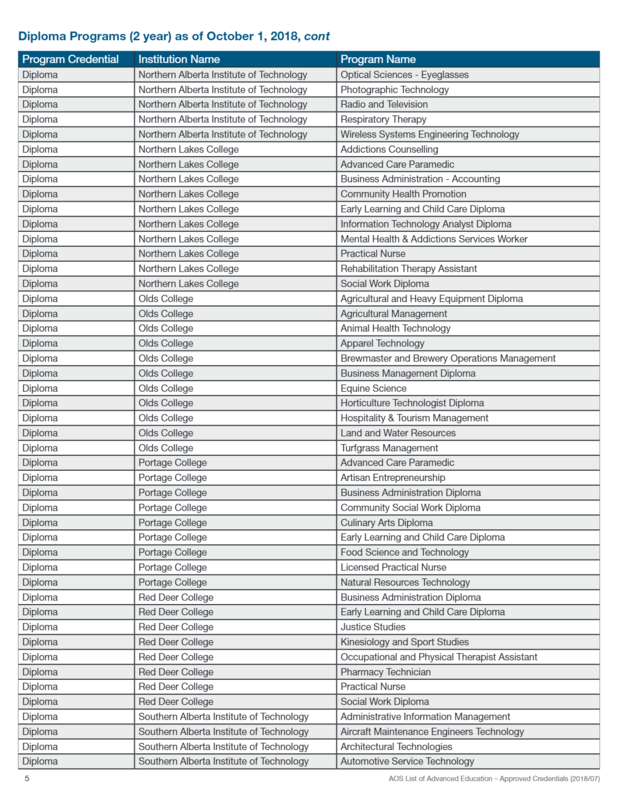 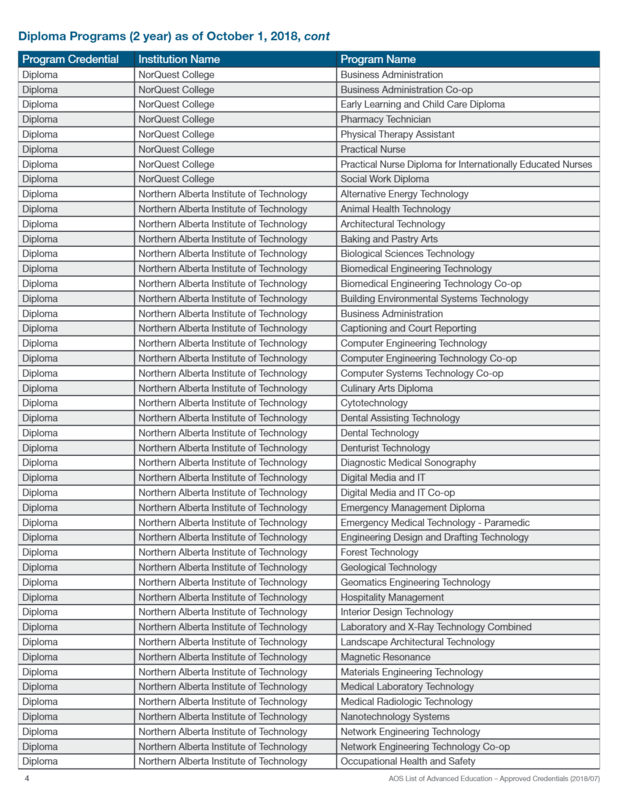 You must check the list of eligible Alberta post-secondary credentials below. 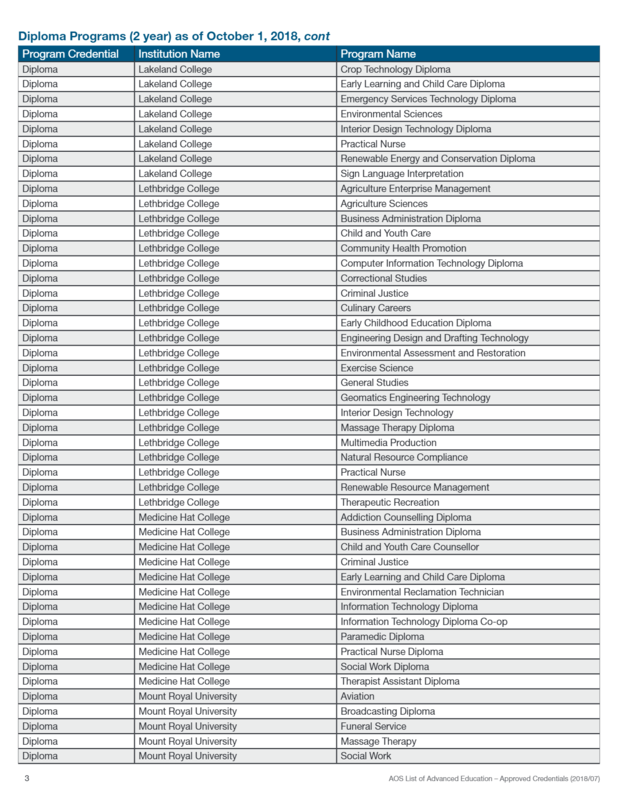 If you are admitted to and enrolled in an Alberta Advanced Education approved credential program before October 1, 2018 this list does NOT apply to you.